With all the weather we’ve had over the past year – hurricanes, hail, snow, wind, and just plain old rain – we’re hearing that a lot of our customers have a leaking roof. And the smart ones are coming here for their shingles, and also for metal roofs. Shingles. 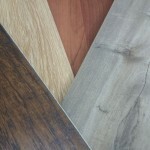 We have architectural and three tab shingles at bargain prices, which saves you a ton of money. That’s why you run into a lot of roofers here. Even though our shingles don’t have a warranty, they know a great shingle – and they know a great price. We hear it all the time: You can’t beat the price or quality of our shingles. Metal Roofs. More and more people are opting for metal roofing, and we have you covered on that as well. 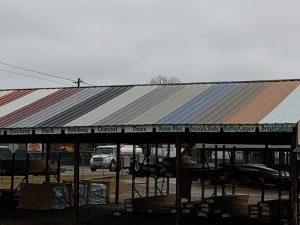 We order your 29 gauge steel roof cut exactly to your specifications, and the turnaround time is usually two to three days. We can get you almost any color, too. Metal roofing is $2.62 per linear foot. A leaking roof is never good news, but the prices at Southside are. 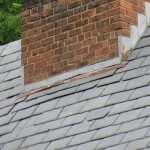 Come on by today – or send us your roofer – and check us out!